Pencil Full Of Lead – Which Harmonica? I knew it was a G harp, but is it a high G harp? 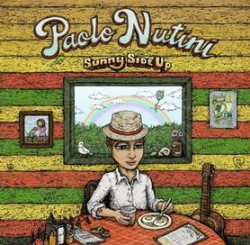 Regular visitors will remember we recently ran a post about Paolo Nutini’s priapic UK No.1 hit Pencil Full Of Lead from his chart topping album Sunny Side Up. When the song first hit breakfast radio, the Harp Surgery resembled a madhouse as The Good Doctor, Elwood, Otis and Monica cavorted around the kitchen in total abandon. The The Riverboat Captain is still sounding his horn from the wheelhouse and singing along.. most of all, I’ve got my baaaaaay-bee! One player from Nutini’s band, The Vipers, caught our collective eye of course – Fraser Speirs, Scotland’s Laird of the Moothie. That’s King of the Gob Iron to those of us south of the border. 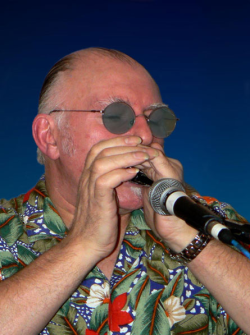 And having listened to the track with his good ear, The Doc concluded that Fraser was using a G major diatonic in 2nd position for the harmonica solo. A week or so later, Otis delivered a letter from our dear friend Tenbar who wrote I’ve been trying to figure out the Paolo Nutini track and knew it was a G harp, but is it a high G harp? Straight away the Good Doctor dispatched a missive to the tartan territories, enquiring about Fraser’s choice of instrument and which position he used on the hit.